The Red Raiders' run to the national championship game on the hardwood owes plenty to Nick Saban, whom coach Chris Beard models his program after, and Hal Mumme, the Air Raid architect Beard crossed paths with in Division II. MINNEAPOLIS — The Texas Tech cheering section didn’t exactly lack star power Saturday for the Red Raiders’ Final Four win against Michigan State. Former Texas Tech quarterback Patrick Mahomes—currently the toast of the NFL—came to U.S. Bank Stadium to put his Guns Up, and he brought along All-Pro teammate Travis Kelce. Still, one offered complimentary ticket for the section went unclaimed. Check out our special @CoachBeardTTU #FiresideChat edition with guest star @BleeStrength who talks dietitian topics, music, Disneyland and our upcoming trip to @CityMinneapolis. Saban was a little busy Saturday ranting about players leaving early for the NFL draft, so he didn’t make it to Minnesota. If he had come on Monday night to witness the Red Raiders’ 85–77 overtime loss to Virginia, he would have seen a program designed very much in the image of his program. Beard has never met Saban, but he gleefully admits that he has borrowed aspects of Saban’s operation at his various stops on a journey that weaved through the basketball hinterlands before arriving at a chance to win a national championship. Saban would call that eliminating “clutter.” But Beard already knows that. Beard loves The Process, Saban’s term for a program-wide philosophy that commands players and coaches to not worry about the outcome but worry only about the correct steps and behaviors that produce the desired outcome. Beard preaches that pretty frequently. He also read about Saban’s “24-hour rule” for celebrating wins or lamenting losses. (Which isn’t unique to Saban, but that’s how Beard learned it.) Because college basketball players play two games a week instead of one for football players, Beard sliced the time in half to create a “12-hour rule” for his program. “I’m a math genius,” Beard cracked. Beard also has borrowed motivational techniques from Saban. The Red Raiders bring a piece of two-by-four on the road because of something Saban said. The Alabama coach has talked about how easy it is to walk along a 2-by-4 sitting on the ground and how difficult it is to walk along one suspended in the air. It’s the same board, Saban points out. Only the circumstances have changed. Beard uses this as his team prepares for road games. Beard could use the board Monday night, because while the Red Raiders played on a 94-foot court with two rims positioned 10 feet off the ground, the circumstances were unlike anything they’d seen. Fortunately, they’ve got a coach who has spent his entire career soaking up wisdom from anywhere he can find it—including from college football coaches. Saban isn’t the only gridiron coach who influenced Beard. Beard has a much more direct connection to Hal Mumme, the man who helped create the offense that revolutionized college football and is currently influencing a new generation of NFL head coaches and coordinators. Remember how we mentioned Beard’s journey to this point was rather circuitous? He’s been the head coach at Fort Scott (Kansas) Community College and at Seminole State (Okla.) Community College. He worked for Bob and Pat Knight as an assistant at Texas Tech. He lived in a Motel 6 in Myrtle Beach, S.C., and coached an ABA team “that you’ve never heard of” (the South Carolina Warriors). He was a head coach in Division II (McMurry from 2012 to ’13 and Angelo State from ’13 to ’15) and Division I (Little Rock during the 2015–16 season). Then he spent 19 days as UNLV’s coach before he left for a Texas Tech program stunned by Tubby Smith’s departure for Memphis. Mumme’s version of having a pair meant creating something new to help close a talent gap. Saban’s version involves clinging steadily to a management philosophy while constantly evolving schematically to keep pace with changes in the game. Beard’s version is different. He coaches a defensive philosophy most of today’s players would consider too physically taxing and too boring. (His national title game counterpart, Virginia’s Tony Bennett, does the same.) On the other end, Beard runs the elder Knight’s motion offense, which used to be common but has long since fallen out of vogue. The offense spaces the floor in such a way that all five players are available to either make or receive a screen at any given time. Running it well requires the coaching staff to trust the players and the players to have incredible chemistry. Beard’s insistence on doing what works for him and his ability to find players who fit philosophically and schematically have allowed him to make every program he’s coached better. Take Little Rock, for example. The Trojans went 13–18 the year before Beard arrived. They went 30–5 and upset Purdue in the NCAA tournament during his one year there. They went 15–17 the season after he departed. Texas Tech was in the bottom half of the Big 12 annually before Beard. The Red Raiders were good enough to make the occasional NCAA tournament, but deep runs were not expected. Now, assuming Texas Tech athletic director Kirby Hocutt can throw enough Whataburger at Beard to keep him happy and in Lubbock, playing deep into the tourney could become an annual tradition. The rest of the coaches in the Big 12 had better hope Beard doesn’t decide to make a pilgrimage to Tuscaloosa this summer. If he’s doing this well reading books about Saban, imagine what might happen if the two coaches actually start trading notes. And if the Red Raiders win one more day this season, Beard will cut Saban’s national title lead to five. The Texas Tech basketball team has been playing Lil Nas X’s “Old Town Road” a lot because it blends the players’ preferred genre (rap) with Beard’s preferred genre (country). The song should be headed to the top of the Billboard country chart, but Billboard disqualified it from that chart for “not embracing enough elements of today’s country music in its current version.” After massive backlash—probably because the decision looks super racist—Billboard released a statement to Rolling Stone that suggests that decision could be changed in the future. Lil Nas X dropped a remix featuring Billy Ray Cyrus a few days ago, and that sucker may wind up topping the Hot 100. In the meantime, let’s rank the top songs that include members of the Cyrus family. 1. Here’s the aforementioned Saban rant on players leaving early for the NFL. When I wrote about Alabama’s openness to NFL scouts, Saban told me a major reason for that openness was so that the scouts and team executives would provide honest feedback so Alabama juniors considering leaving early could make the most informed decisions. 2. In that rant, Saban mentioned a player who left Alabama after the 2017 season, got drafted in the third round and became an NFL starter. Saban argued that had the player stayed at Alabama for another year, he’d be making more money because he would have been the first player taken at his position. Saban didn’t name the player, but former Crimson Tide star and current Jacksonville Jaguar Ronnie Harrison named himself with a Twitter post Sunday morning. Harrison, it seems, doesn’t regret his decision in the least. 3. Ladies and gentlemen, meet Chris Curry, who could be sharing carries with Clyde Edwards-Helaire at LSU this fall. Two years ago, I wrote about former Ole Miss, Auburn, Texas Tech and Cincinnati coach Tommy Tuberville contemplating a run for Alabama governor. I was early, and I had the wrong office. It turns out he's running for the U.S. Senate. If you’ve read this space long enough, you know how I feel about barbecue sauce. If the meat is cooked properly, it’s unnecessary. It exists to cover up cooking mistakes. Essentially, sauce should not touch properly smoked meat. In Minneapolis, I found a place that makes me a hypocrite. Butcher & The Boar is not a barbecue restaurant. It’s not exactly a steakhouse either, but the prices and the perfect Knob Creek Single Barrel Old Fashioneds make it feel like one. 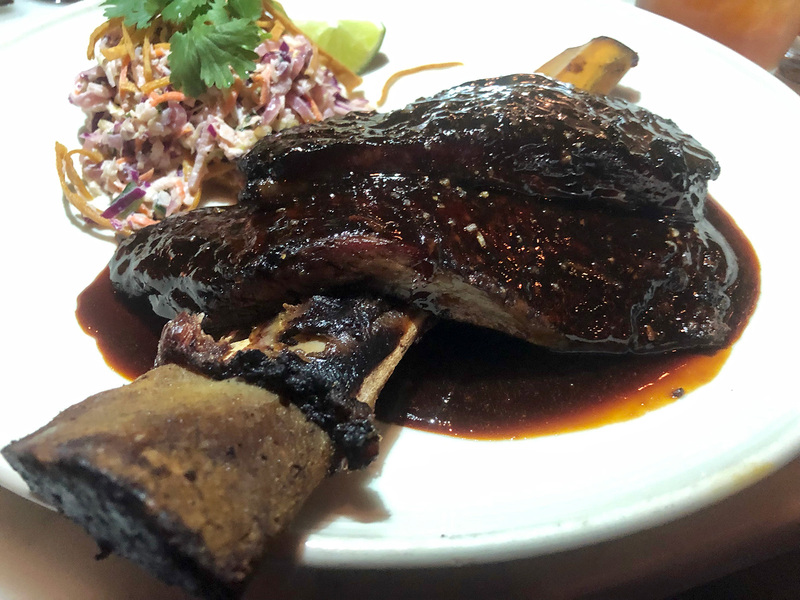 The place serves smoked long beef ribs, and those ribs come doused in a sauce. 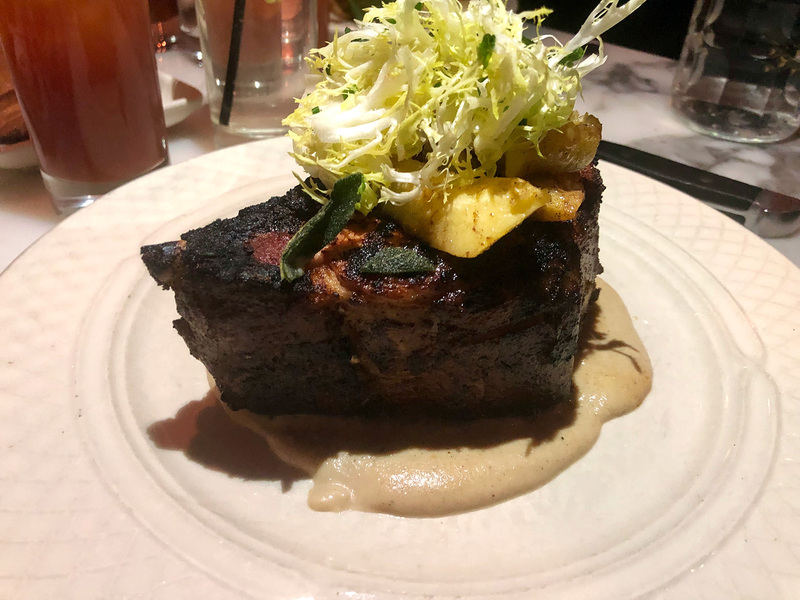 Normally, this is the part where I’d rip the chef for daring to sully such beautifully cooked meat—and it was glorious, tender and juicy—with an amalgam that might cover up the flavor created by the mixing of smoke, indirect heat and bovine flesh. But not this time. My rib came in a pool of a tabasco-molasses sauce that I wish had been the size of an actual swimming pool. I would have dove in and eaten—drank?—my way out. The generous portion of tabasco gave it an immediate kick that was almost instantly soothed by the sweetness of the molasses. Combine this with the savory, salty, slightly sweet meat—which was cured with salt and sugar—and every bite satisfied every region of tastebuds on my tongue. It was a near-perfect dish, and I might be willing to change my opinion on barbecue sauce if someone could make a barbecue sauce that tasted like that. But the culinary expertise and ingredient overhead required to make something that delicious probably makes it cost-prohibitive for the average smoked meat purveyor. So they should stick to cooking the meat well and leave the advanced stuff to Butcher & The Boar. When you go, someone in your party needs to order that long rib. Someone else needs to order the double cut smoked Duroc pork chop. This is a massive hunk of pig that is brined and then smoked, producing a juicy, satisfying challenge to even the hungriest diner. Before you get to the main courses, make sure to get a charcuterie board. The wild boar head cheese and the turkey braunschweiger—basically spreadable, spiced turkey—are exceptional. Meanwhile, your meats will need some accompaniment. Make it the red hot Brussels sprouts. But don’t be surprised when all the sprouts are gone, the bone on your plate is clean and you’re still trying to spoon one more drop of that sauce into your mouth.